With Spring established it is time to plant the Summer herbs. The taste and smell of fresh basil and parsley are great additions to Summer salads, pastas and particular favourites of my family, homemade pizza and bruschetta. It is easy to grow herbs in a pot placed on a sunny deck or window sill. This week my granddaughter and I visited the local plant nursery to buy some seedlings and then she planted them in a pot and watered them in. Now her responsibility is to remember to give them a drink every day or so. 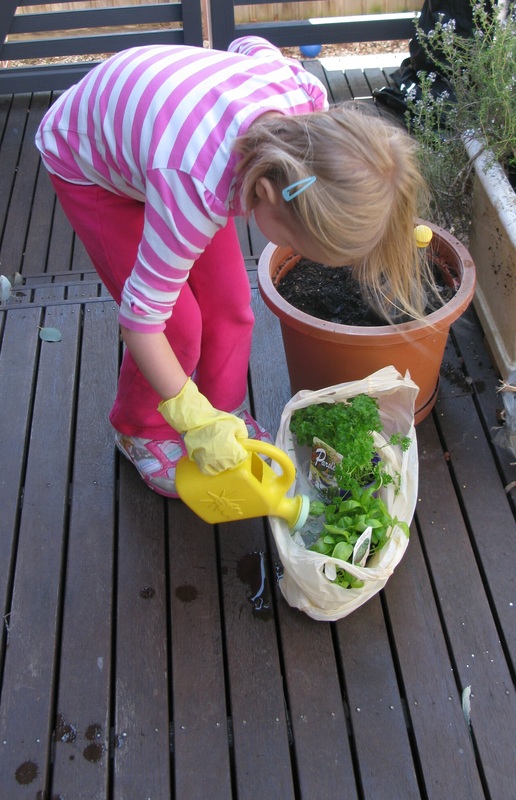 This is an easy activity but helps children learn not only where food comes from but develop a sense of responsibility in caring for living things.